A few people have been asking about further information on the new Mola 28″ Sollo. 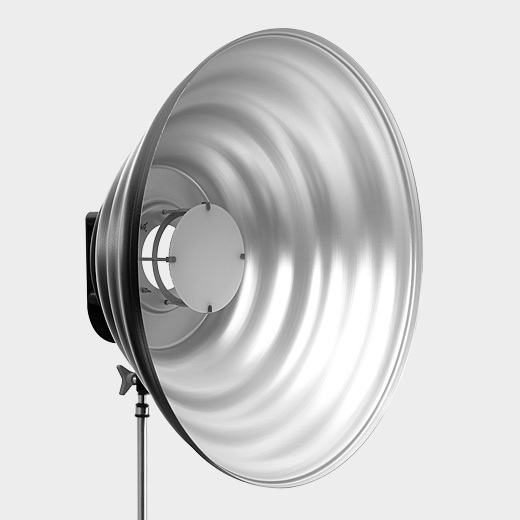 Here is a photo of the new reflector. Here is is pictured with the OPAL glass central deflector which also has the stabiliser rings to hold it securely. These both ship with the Sollo. Like the other larger Molas (28″ and above) it has an integrated handle to secure onto your stand of choice.